Would you like to learn how to make cucumber martinis? Cucumber and mint add a hint of light flavor as well as a bit of texture to a basic martini. If you're looking for a martini that's slightly different but you're not enthusiastic about adding fruits or chocolate, give this cocktail recipe a try. 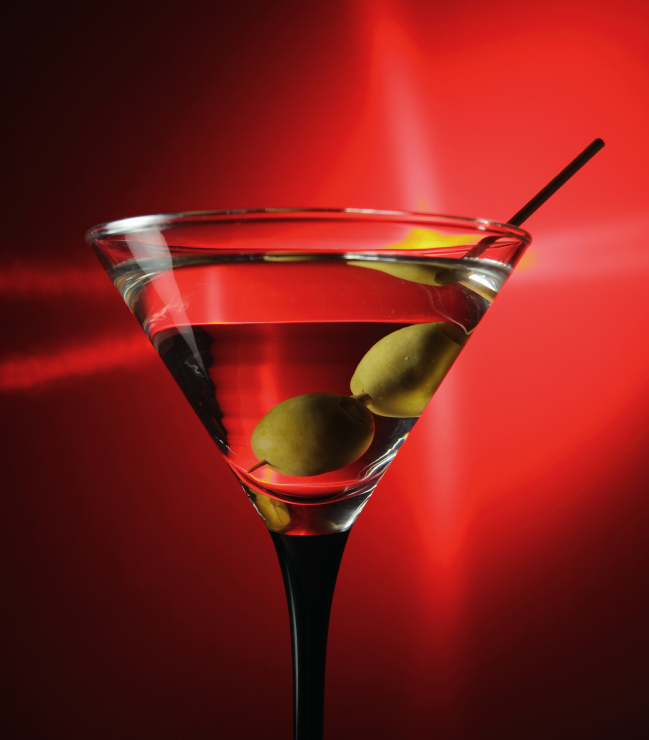 You'll need two ounces of vodka to make this martini. Some people prefer gin in their martini, but vodka actually works better in this recipe because it allows the gentle flavor of the cucumber to shine through. Fresh cucumber is an essential ingredient. You'll need four to six slices for mixing, plus a couple additional slices for garnish. Leave the skin on because it imparts a slight coloration to the cocktail. Make sure you wash your cucumber before slicing it. Mint enhances the cool flavor of the cucumber. You'll need three freshly rinsed mint leaves. A touch of fresh lemon is a staple in many cocktails, and the cucumber martini is no exception. You'll need one quarter ounce of fresh lemon juice. Simple syrup is an optional ingredient. Skip it if you don't feel you need the extra sweetness. It does add a nice balance if you choose to add about half an ounce to the mix. You can give this recipe a try both ways and decide which you prefer. The easiest way to mix this martini is to use a Boston shaker. Place about a cup of cracked ice in the metal half of the shaker to help it chill while you prepare the rest of the ingredients. Muddle the mint and cucumber slices in the glass portion of the shaker. Add the liquid ingredients to the glass and gently pour the ice from the metal shaker on top. Cover the glass with the metal shaker. Then carefully turn the shaker upside down and give it all a good shake. Strain the contents of the shaker into a martini glass and float a slice or two of cucumber in the glass for garnish. That's all there is to it. Once you've made this martini a time or two you'll be able to mix it like a pro. Now, how would you like to learn how to make a Dirty Martini?